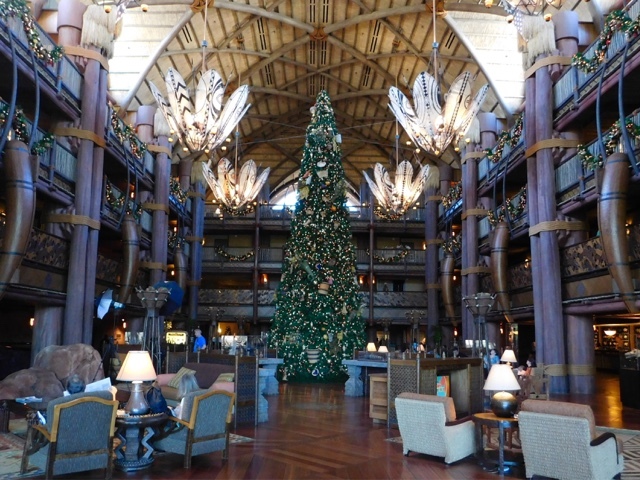 Continuing with this week's Christmas theme, here is a photo of the tree inside of the Jambo House section of Animal Kingdom Lodge. 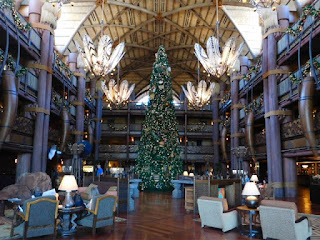 I was standing in front of the large glass windows, looking toward the hotel entrance. I took this shot while visiting the resort last week.